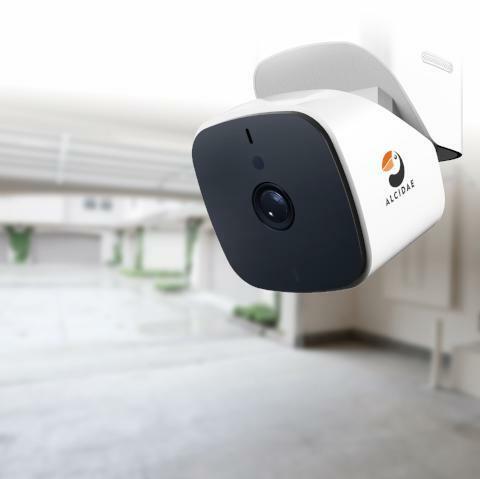 San Francisco, CA, March 27, 2019 --(PR.com)-- Alcidae Inc., the company that develops smart home technology with innovative design and features, has announced today that they have released the latest generation of the Garager product – the Garager 2 Smart Garage Cam and Controller. The latest Garager provides an upgrade in resolution – reaching 1080p with FHD quality in capturing even the smallest details in your garage. 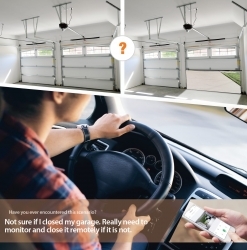 Full integration with your voice assistants like Alexa and Google Assistant to allow you to open and close your garage with your voice. You will find the new magnetic base design to provide a more stable attachment to the bottom/side of your garage door opener. Alcidae has also enhanced the access sharing process to make it a seamless experience to share access to your friends and family. Two-way audio function and the ability to motion/sound detect any changes in your garage remains and will still be critical features in this product introduction. Besides the feature sets above, Garager is also compatible with most garage door openers in the market. (Chamberlain, Liftmaster, Craftsman, etc.) The installment is easy and should take no more than 10 minutes to complete in any general garage environment. The exterior of the camera fit in its use case. Click here to view the list of recent Press Releases from Alcidae Inc.